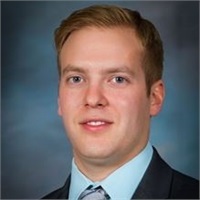 Joshua S. Noparstak | Equitrust Financial Group, Ltd.
Joshua S. Noparstak has been helping young families save for their children's college education as well as prepare for their financial future since he started working at Equitrust half a decade ago. He understands that finance can be complicated, but it's his goal to make it simple. Josh graduated from Illinois State University with a bachelor's degree in psychology. He also holds the designation of CFP®, Certified Financial Planner™, from DePaul University in Chicago as well as Accredited Investment Fiduciary (AIF). Josh spends his time out of the office traveling, working out, cheering on his favorite Chicago teams and spending time with his wife and dog.